here in the Canadian Rockies. 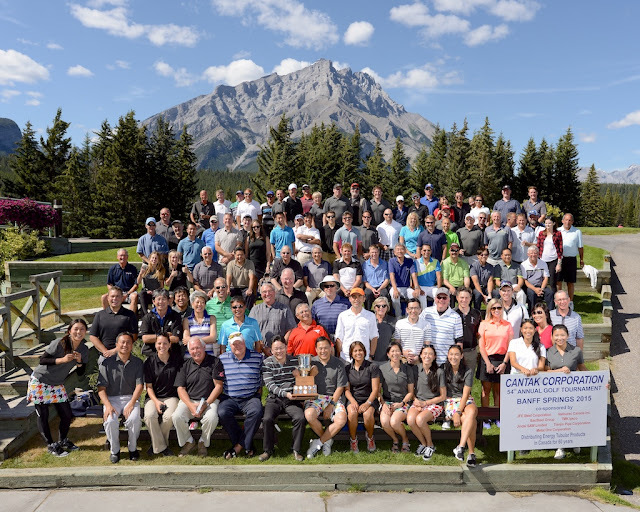 to enjoy a day of golfing at the Fairmont Banff Springs Golf Course. Cantak is one of our annual corporate clients. We have taken their group photograph for the past 18 years!